SATURN is a trusted source for drive tractors, for pushing/pulling rolling loads on monorails. 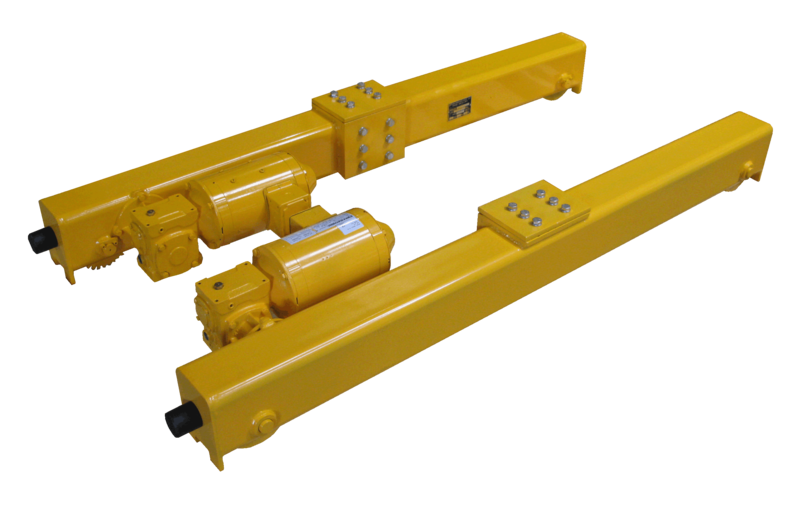 Saturn bridge crane end trucks are designed for superior safety and performance. 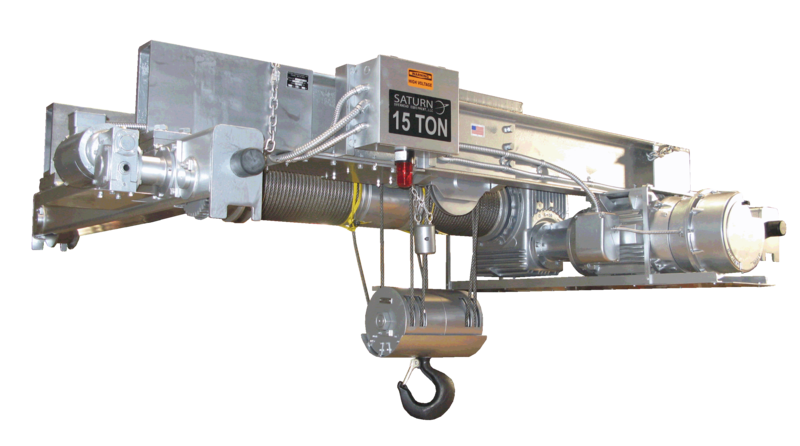 This Hoist is used in Special Environments requiring customized heat resistant steel. 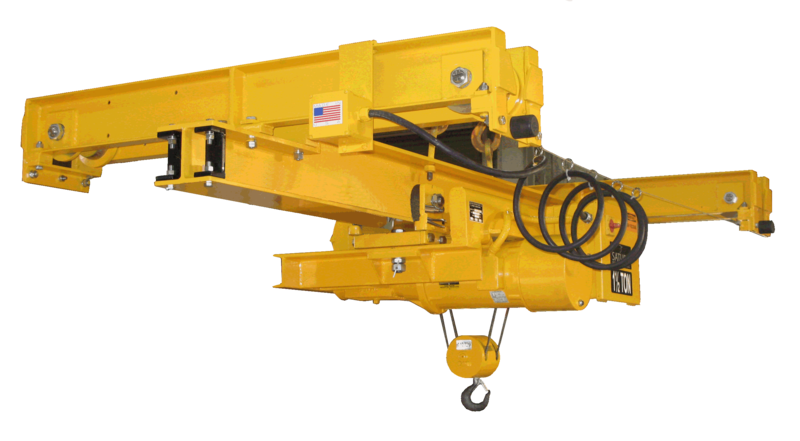 This Top Running Crane utilizes a low headroom hoist all manufactured at SATURN. 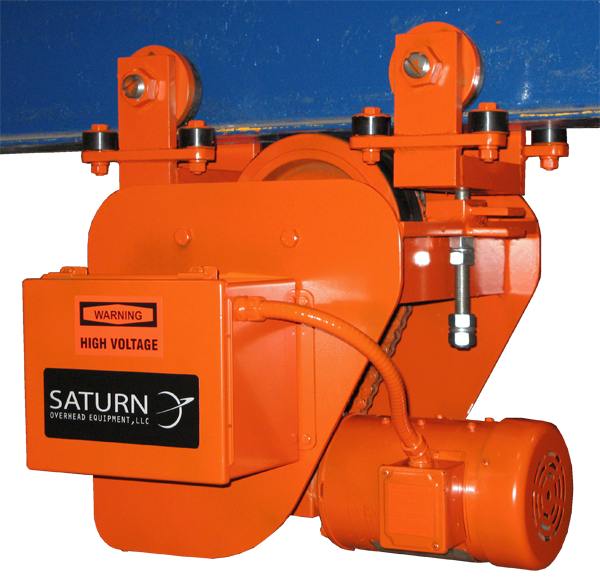 SATURN Wire Rope Hoists are designed for reliability and are built to LAST. SATURN Drive Tractors are the leader in the industry for quality, delivery and service. SATURN End Trucks are built tougher and designed for superior performance. 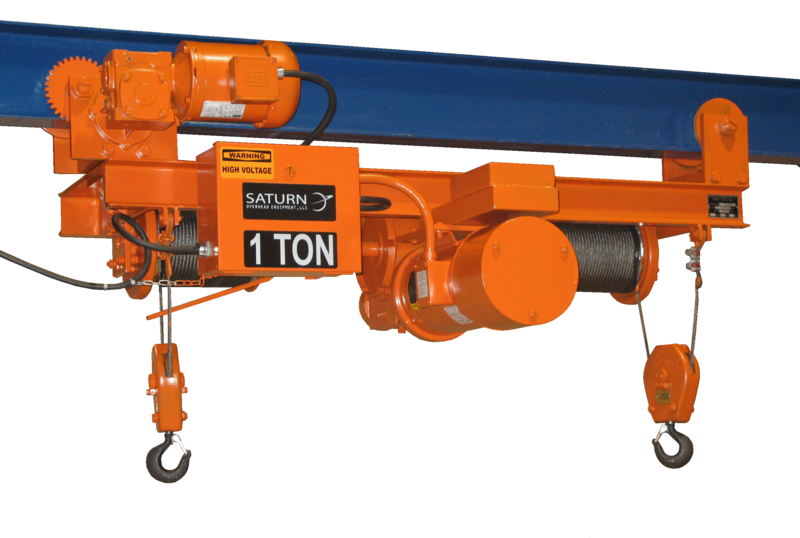 SATURN has been a strong presence in the Material Handling Industry of America for over 40 years. Our top quality products and service continues to help our customers succeed in their business. SATURN’s flexibility, excellent on-time delivery record, and custom builds are just some reasons that set us apart. Copyright© 2001-2018 Saturn Overhead Equipment, LLC. All rights reserved.